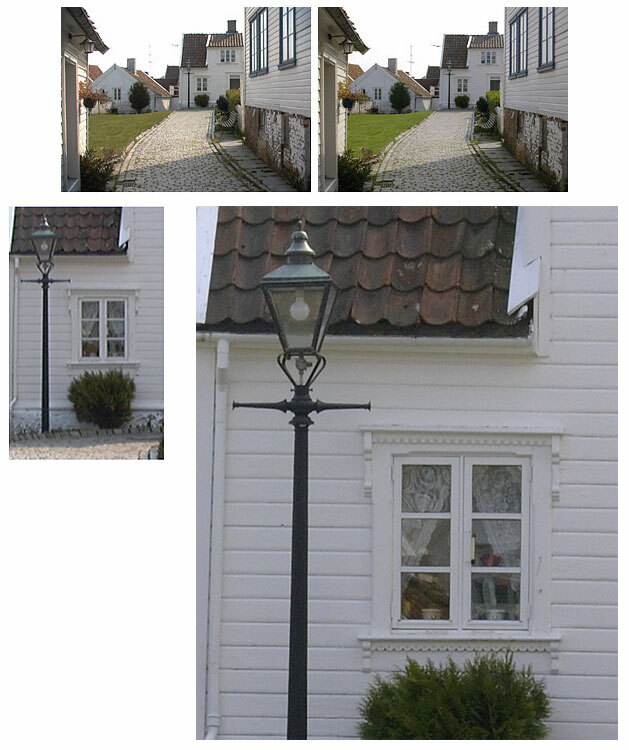 Both images have been slightly processed in Photoshop to look more or less identical (for comparison). The test is less than scientific. In fact, the E2N photo was shot with a sharp 50mm prime, while the D2X photo was taken with a 18-35mm zoom (to get the approximate same field of view). I don’t consider this to be a particular sharp D2X photo. It’s simply a quick snapshot to illustrate the obvious difference between the two cameras. The difference would be even more significant (in favour of the D2X) if both photos were taken with the same lens/focal length.